This superbly presented modern home, offers a considerable amount of space over 2 floors, briefly comprising entrance hall, guest cloakroom, kitchen with integrated appliances, living/dining room with French Doors leading out into the garden. 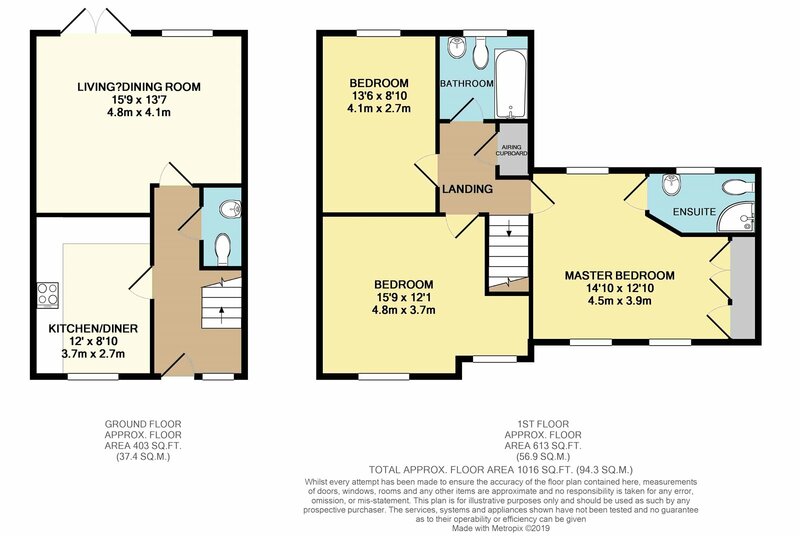 On the first floor there is a large master bedroom with built in double wardrobes and an en suite shower room, 2 further double bedrooms, and a family bathroom. Outside to the rear the landscaped garden comprises paved patio area with pathway with astro turf lawned areas to either side leading to further decked seating areas. There is gated access out from the garden into the courtyard parking area where there are 2 single garages. From Telford Town Centre, travel along West Centre Way, proceeding straight over the first roundabout. At the Old Park roundabout, take the 3rd exit, straight over. At the 2nd crossroads, turn left onto Lawley Drive. Upon reaching the Lawley Common roundabout, take the 3rd exit on to The Crescent then take the 2nd turning into Eastcote Avenue where the property can be found on the left hand side.